Marvell Webb Taylor, age 84, passed away peacefully at home on September 28, 2014 in Mesa, AZ. Marvell was born on January 3, 1930 in Winslow, AZ to Wayne and Charlotte Webb. The oldest of 5 children, Marvell grew up in Snowflake and on the Hopi Indian Reservation, where her father worked for the government. She graduated from Mesa High School in 1947. Marvell met Gene Taylor at Arizona State College right after he returned from WWII. They were married in the Mesa Temple on December 22, 1948. Last December they celebrated their 65th wedding anniversary. Marvell enjoyed being a homemaker and caring for their 8 children while she supported Gene as he built their family business. 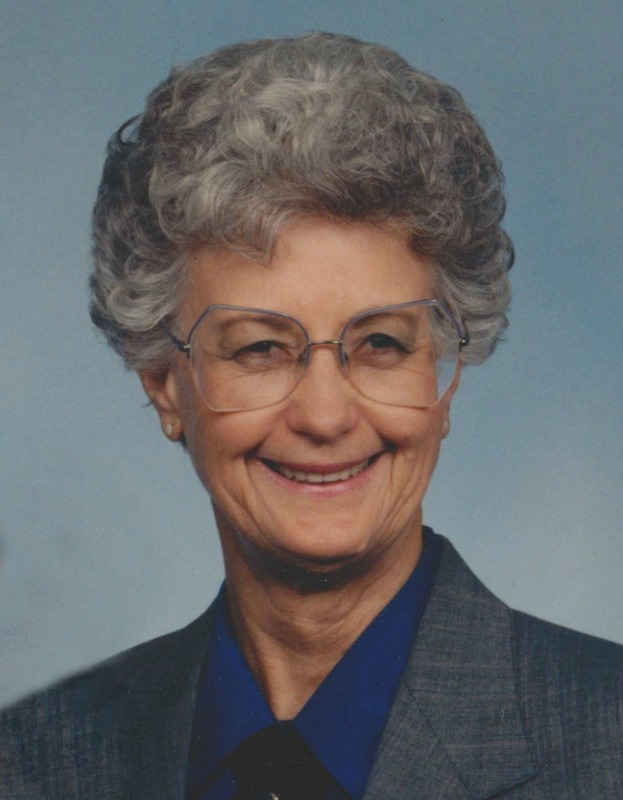 She loved serving in the church in many capacities including Stake Primary Board, Ward Relief Society President, Boy Scouts and Stake Young Women’s President where she organized a girls’ camp at their Taylor Ranch in Pinedale, AZ, which has continued for over 30 years. Marvell was also a Temple worker at the Mesa Temple for 10 years. Gene and Marvell served three missions for the Church of Jesus Christ of Latter-day Saints. She was known for her kind smile, and loving service to others. She loved being involved in the AZ Mother’s Association and was named Arizona Mother of the Year in 1995. Marvell spent many years mentoring young mothers that looked to her for guidance. Marvell is survived by her husband Gene and their children: Sharon (Farrel) Holyoak, Wilford (Sharla) Taylor, Ken (Lori) Taylor, DeeAnn Manganaro, Brenda (Steve) Penrod, Patty (Doug) Steiner, MaryLou (Scott) Clifford and Tom (Tammy) Taylor, along with 36 grandchildren and 59 great-grandchildren with 4 more on the way. She is also survived by her brothers LeeWayne and Dee Webb and sisters, Irene Jarvis and LaNay Magoffin. She is preceded in death by her parents Wayne and Charlotte Webb. Visitation is Thursday, Oct. 2, 2014 from 6-8 pm at Bunkers Garden Chapel, 33 N. Centennial Way in Mesa. Funeral services will be Friday, Oct. 3 at 10 am at the Kimball Stake Center, 1266 S. 32nd St., Mesa, AZ, preceded by a visitation from 9 to 9:45 am.